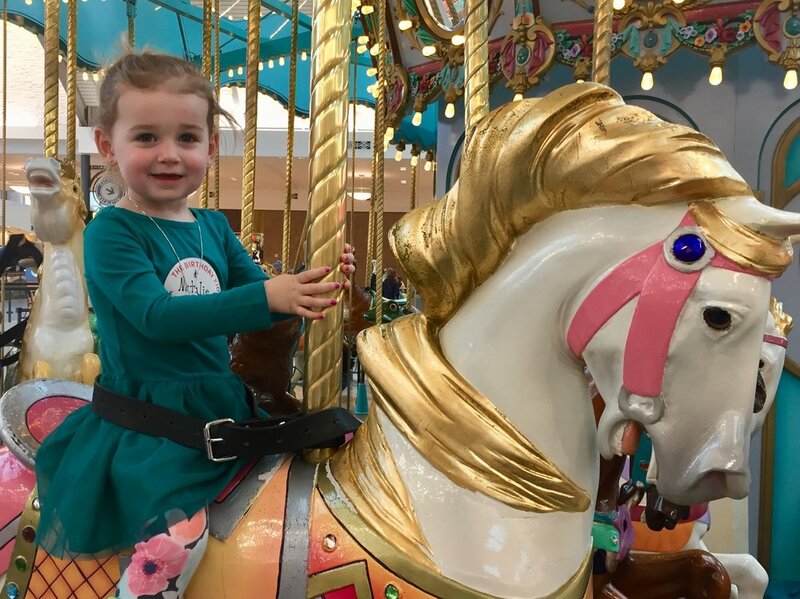 Natalie turned 3-years-old this month and we celebrated her with the very first ‘Natalie Day’ at the happiest place on earth: RiverTown Crossings Mall. She hasn’t been to Disney World quite yet so trust me, this totally worked. 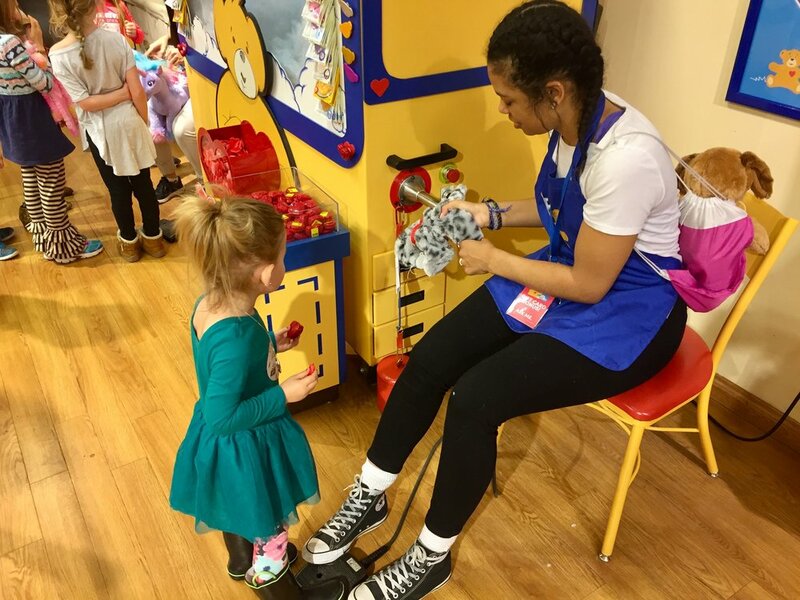 We started with building a cat, who has yet to be named, at Build-a-Bear. She picked out a toy food dish and hair dryer to go with it. Why a hair dryer? Your guess is as good as mine. Didn’t matter. It was Natalie Day. Next we spent some time at the Germ Tree, aka the indoor playland in the center of the mall. 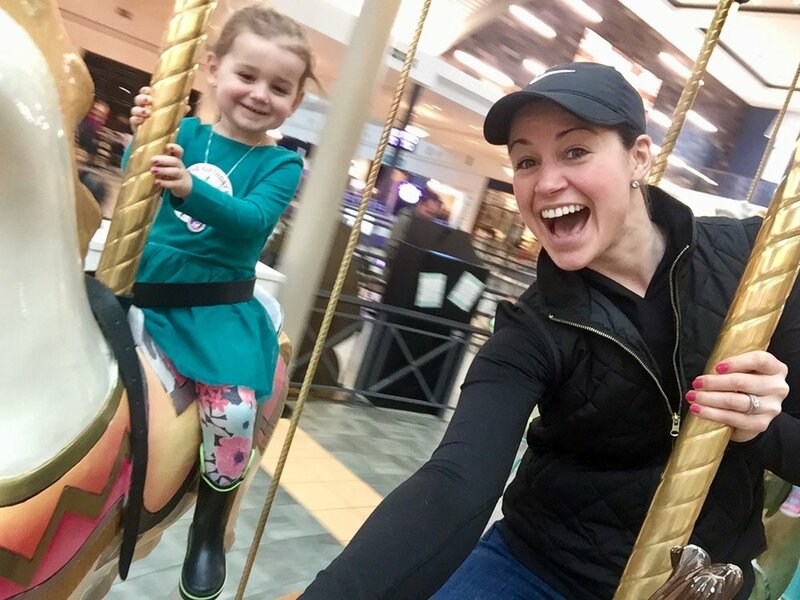 After about 20 rides down the slide (with the cat) we headed towards the food court for a spin on the carousel which was the best thing ever. We capped the day off with ice cream. A newbie 3-year-olds dream day. Natalie is turning into quite the little lady who loves all things girly: painted nails, princess dresses, bows, makeup, anything pink. She’s gentle and detail oriented, and the girl can’t get enough hotdogs, ice cream and candy of any kind. In the fall she’ll head off to preschool at which point I'll be home crying out all my feelings. Happy Birthday Natalie. 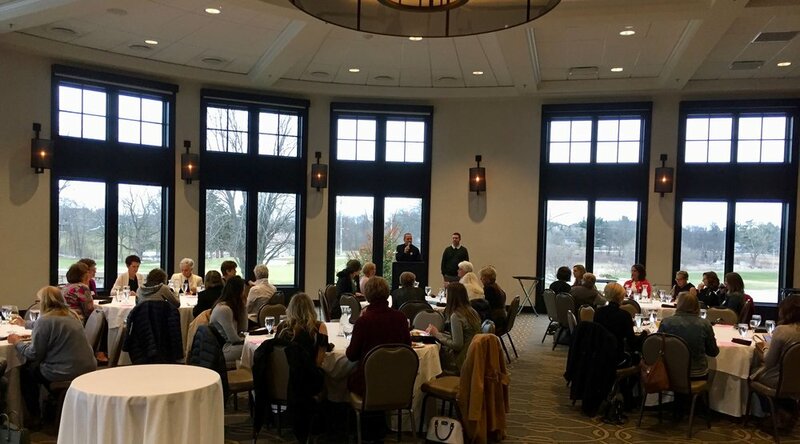 This month we officially kicked off Women’s Golf League with our Spring Mixer at Watermark. We met up with old friends who we haven’t seen all winter and welcomed new faces. Some gals were tanner than others because… FLORIDA! And this week was our first time out on the course and it felt so good! The sun was shining and that’s all that mattered, well, at least that's what I'm telling myself because I lost 4 golf balls to water hazards. Last weekend for the first time we attended Runway on the Rapids with friends for some socially acceptable people watching. Because that’s what a fashion show is, right?! Before the show we grabbed dinner with friends at Osteria Rossa. I ordered the Prosciutto Wrapped Quail Gnocchi and it was fabulous. The show was super fun and you can find out more about the show HERE. Afterwards we grabbed a nightcap at Lumber Baron Bar located inside the Amway Grand Plaza. We'd always heard good things but had never been and it's safe to say we'll likely return. This was our second year attending the Wine Tasting Event benefitting St. Cecilia Music Center. It’s a wonderful fundraiser catered by our ever favorite Martha’s Vineyard that entails an all you can taste wine selection and a generous spread of meats and cheeses. Jeff and I enjoy a good silent auction and this event provides the best we've seen. This year Jeff took home a dry-cleaning package which was entirely all too practical of him. It will not be wasted. If you also follow me on Instagram this next blurb won’t be news to you because I diligently documented (via Insta-story) our Housewives Field Trip to Saugatuck last weekend. I took my documentation seriously and even brought my selfie-stick along for extra good angles. Talk about a super fun time! It was a tamer version of ‘mommas gone wild’ and began with a vigorous stair climb to the top of Mount Baldhead Park. Over 300 steps (and a few mimosas) later, we retreated to Everyday People Café for bottomless mimosas (sensing a theme?) and some breakfast. We also made a stop at Virtue Cider and bought out their stock of canned Rose. I’m not much of a cider fan but the cans were adorable, pink and I was in a good mood. The rest of our time was spent shopping and bar hoping our way back to our families. I feel asleep around 9:30pm. It was a really good day. A big shout out to our home-girl Hannah for being our designated driver. We promise to pay you back once that little bundle of joy arrives! 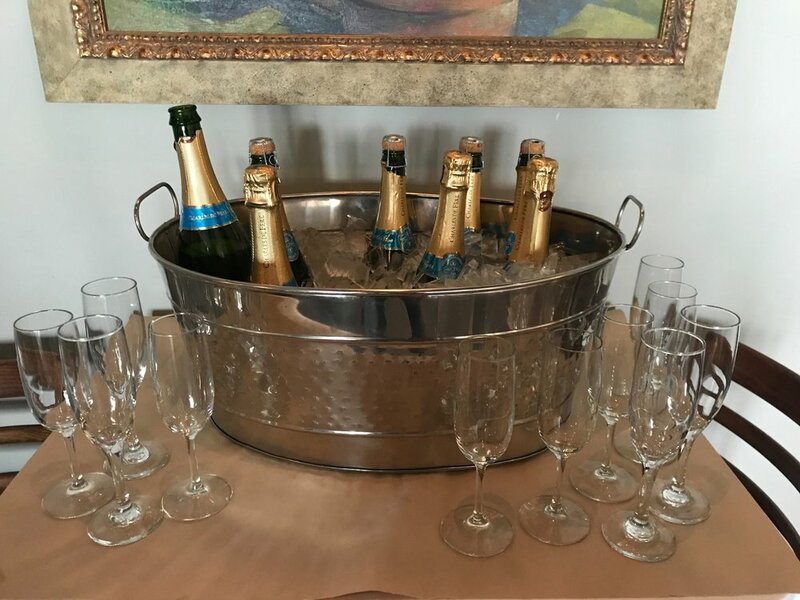 Speaking of housewives, we started what I hope continues to be a monthly supper club with our group of girlfriends and April was my turn to plan. I’m a sucker for hibachi and dragged the ladies out to 28th Street for flying shrimp and flaming onion volcanos at Ichiban Hibachi & Sushi. There was a coy fish pond, cocktails and lots of laughs. Also, if you're reading this from any place but your front porch or sunny patio... you're doing it wrong. Go get yourself some sun! Enjoy the warmth. POSTSCRIPT – Stuff we’re into lately. FMGs Concert Series! If you have never been to an outdoor concert at Fredrick Meijer Gardens you are missing out. We’ve selected our summer roster and look forward to drinking wine out of plastic cups. Westworld is Back and we’re thrilled about it. It’s futuristic, dramatic and extremely thought provoking. Beware, it’s not for the faint at heart. Costco (always Costco) but specifically Costco for it's incredible deal on Arborvitae trees which are double the size of the ones at Meijer for the same steal of a deal price at $26. 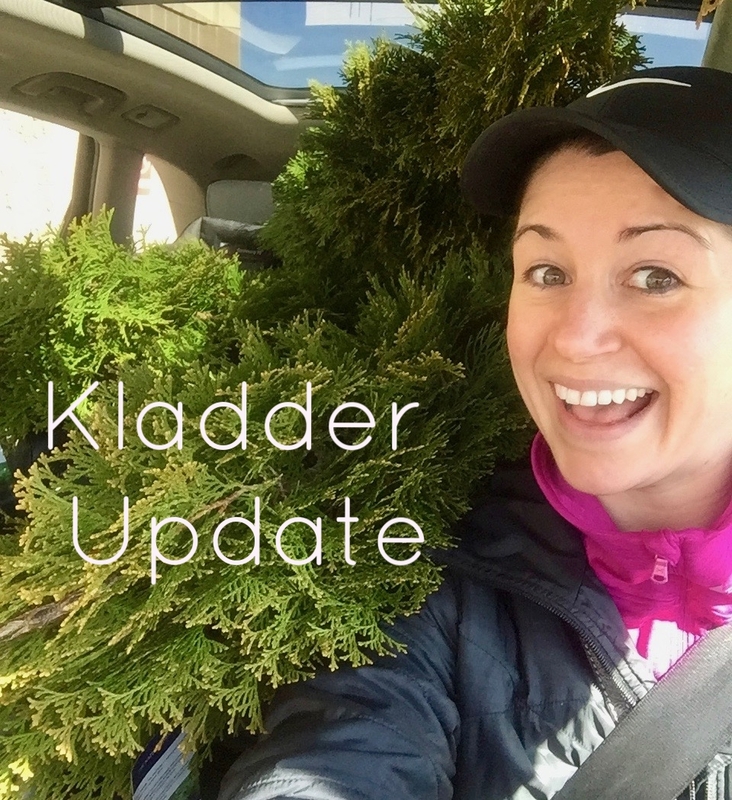 What is more, I crammed 6 of them in my mid sized SUV (pictured as the header of this post). The guys at Costco were likely dying laughing upon my departure.